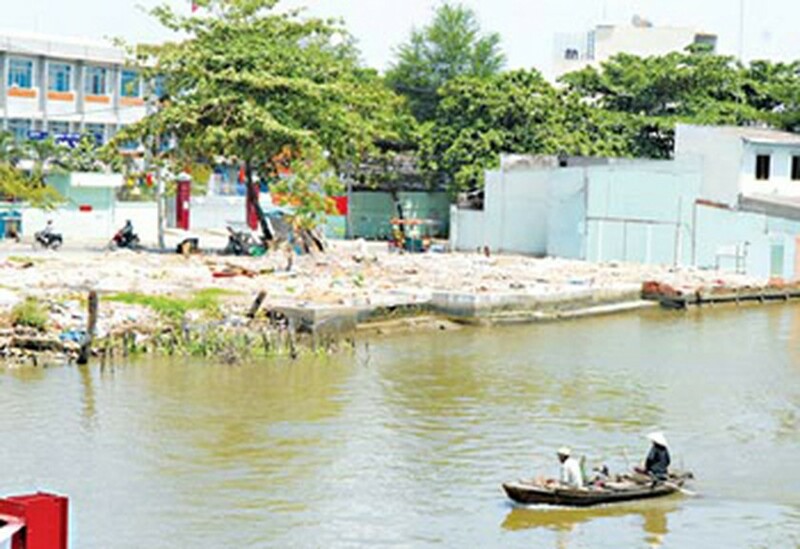 The rainy season set to drench Ho Chi Minh City June-August will also bring along the landslide season, but local authorities appear to be fumbling with projects aiming to lessen the damage this year. According to the latest statistics released by the city’s Steering Committee on Flood and Storm Prevention, the city now has 42 “hot-spots” in high danger of landslides. Of these, 40 are at river banks and two are near the sea. The landslide prone areas are sparsely located in many districts including 2, 4, Binh Thanh, Thu Duc, and Nha be. Landslides are a big concern for local residents as 30 last year pulled three houses sliding into the river, damaged two other homes and destroyed over 4,000 square meters of land and crops. The steering committee said that the city’s area’s geology, terrain, hydrography features and the river currents were mostly to blame for the landslides that eat away swaths of land each year. In addition, high tides from the sea help create eddies that worsen land erosion. Besides natural factors, the steering committee said that people had worsened the situation by building houses, warehouses and other infrastructure on the edge of river banks, putting more pressure on already vulnerable areas. On the other hand, the illegal sand exploitation, which has occurred for several years, has caused unusual changes for the river current, worsening land erosion. Moreover, the construction of dikes has been done haphazardly and not in accordance with city regulations. Many dikes do not meet technological requirements imposed by the city. To deal with the issue, the city has drafted several landslide-prevention projects, but they have been put on hold on by congested site clearance. 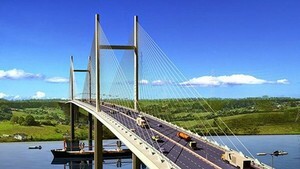 Ngo Quang Manh, an official from the city Department of Transportation, said that to boost the projects, the city should spend more money on site clearance. In addition, districts should pay more attention to site clearance in order to facilitate progress and implement projects as soon as possible.